UPDATE: See the new and revised post here that includes all three posts at How to Keep Mealtimes Positive. This is the last installment of the series, Making Meals Positive. 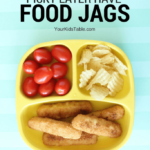 As I have stated previously, I strongly believe that positive meal times are an essential part of improving your kid’s food variety and volume. Be sure to check out part 1 and part 2 of this series, if you haven’t already! Let’s imagine that you are having a relatively stress free meal with your kid (I did say relatively! )… Maybe they haven’t ate as much as you would like… You have to decide whether to encourage more eating or be done. When you begin to notice your child is losing interest in eating take a minute to think if it’s worth encouraging another bite of food. Sometimes this is all it takes to send a toddler or preschooler into whining or tantrums. Often it is best to just end it before there’s an opportunity for negative behaviors to begin. I know, that goes against the sage advice of our parents generation that comes from the clean plate club! As parents we often want to push for just one more bite to make sure their bellies are full (and then another bite and another). However, it is a risk that frankly isn’t worth taking. They may not take the bite anyways and now your kid may be walking away from the meal aggravated and mad. It is very important to try and end on a good note so that they can leave feeling good and thus have a positive association. I have to admit this is kind of a dance, sometimes our kids try to weasel out of a meal to get back to playing or because they are distracted. In these cases they may need some more encouragement. Finding the balance can be difficult. It’s as if there is a window of time that you can end the meal positively, but have still done some gentle encouraging to eat some more or try a bite of something else. It may take some experimenting on your part. 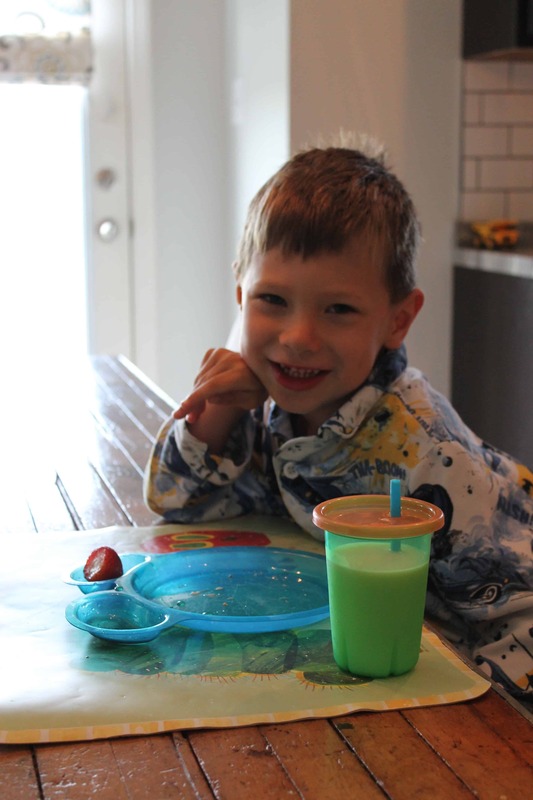 Pay close attention to how your kid responds to requests to eat more so you can judge better on when a meal is over. When you see the moment: your kid has eaten enough and they are still content, wrap up the meal quickly. What is enough? I hate to see a kid quickly shove a few bites of whatever in to their mouth just to be able to get down from the table. They hardly chew it and the ends don’t justify the means. Unless, you are worried about caloric intake or weight, it isn’t teaching your kid anything to eat one or two more bites mindlessly. Also, we want to teach our kids to stop eating when they are full, not when their plates are empty, as many of us adults do. Their body may be giving them very legitimate signals that they don’t need to keep eating, and that is a good thing! We want them to respond to that so they don’t become over-eaters. Although I want you to respect when your kid is done eating and end on a positive note, I don’t want your kid to try, and dare I say, manipulate you! It is reasonable to expect a child to sit 15-30 minutes for breakfast, lunch, or dinner and 10-15 minutes for a snack. 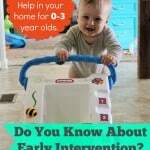 I would avoid going over 30 minutes, especially with baby’s and toddlers, it is just too long for them to be stuck in a chair and focused on eating. If your kid is spending too much or too little time in the chair slowly increase/decrease by 2-3 minutes each day or week, depending on how stressful it is to make this change. Most importantly, try to end things while your kid is content, especially if you are dealing with a “picky eater” or a child that struggles to get through meals. At the same time, don’t beat yourself up if you think you made a wrong move and it all ended with whining or yelling. There are times when we can do everything on our end and they will still end up having a tantrum. Hey, it won’t be long (just a few hours, actually) before you have another shot to try and end it on a good note! Picky Eater Tip: Put it on a Stick! When I first came across your blog, I sat and read for an hour or two – it was mind-opening. Now that I’ve had time to let it sink in and try some of your advice (all with very positive results), I remembered this post and it’s relevance to an issue with my son. The issue is that his lunch and particularly dinner take AGES! Dinner can last up to an hour and a half some days. He’s eating the whole time and doesn’t ask to come down until he’s sufficiently full. The reason that it takes so long is that he’s quite happy to chew up food and let it sit in his mouth for a long time before swallowing. The more I encourage him to just chew and swallow, the more he stalls by just holding it in his mouth. I don’t want to get all in a tizzy over it, since he is finally eating well, so I usually encourage a little, give it a few minutes, encourage a bit more, etc. I feel like this is a long time, but have no idea how to get him to eat at a faster pace. I usually have music playing during meals, and he is occasionally allowed to watch YouTube while eating. I know that should stop, but it really doesn’t seem to have any bearing on how long it takes him to eat. Any suggestions? As always, thank you so much for your advice. You have helped us so much already!! I am curious about why he is holding food in is his mouth, kids do this for several reasons. It may be sensory or difficulty chewing. Lastly, I would make sure I am sitting and eating with him. Try to get a conversation going and then nonchalantly throw a comment in to swallow or give lots of sips of water so it forces him to swallow. Hope this helps, let me know how it is going!!! Thank you. What an amazing resource I’ve stumbled upon! Thanks for sharing Alicia, I hope to keep this in mind with my three boys. Following you on your facebook page, fromthe hop. Love the idea of ending on a good note! !